Our driver can pick you up at the airport, the train station or anywhere you want in Paris and drive you directly to le golf national. You can now hire a chauffeur for the next Ryder cup in Paris. 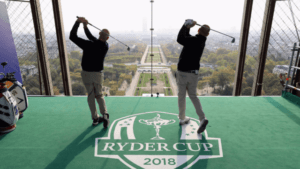 MyDriverParis are often in demand for the Ryder cup, so it pays to book early to secure the car of your choice.